James Umen, Ph.D., associate member at Donald Danforth Plant Science Center, and colleagues have discovered a method to ensure algae are better producers of oil without hindering their growth. The results were published September 6, in a paper titled, "Synergism between inositol polyphosphates and TOR kinase signaling in nutrient sensing, growth control and lipid metabolism in Chlamydomonas," in The Plant Cell. Umen's team included lead author Inmaculada Couso, Ph.D., and collaborators Bradley Evans Ph.D., director, Proteomics & Mass Spectrometry and Doug Allen, Ph.D., USDA Research Scientist at the Danforth Center. 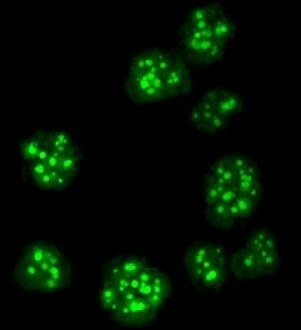 The team detected a mutation in the green alga Chlamydomonas which considerably removes a limitation that is extensively noticed in micro-algae where the maximum yields of oil can only be procured from starving cultures. Umen and his team spotted the oil-accumulating mutation in Chlamydomonas, known as vip1-1, while examining how two conserved signaling systems relate with one another. One system involves a protein known as TOR (target of rapamycin) whose action is intended to match cell growth rate with nutrient levels in the environment. The other system involves a group of proteins referred to as VIP that create highly phosphosphorylated small molecules known as inositol polyphosphates that are thought to act as intracellular signals, but whose purpose in algae is not very clear. The team observed that when VIP activity was minimized by the vip1-1 mutation, cell growth became very sensitized to alterations in TOR activity; but unpredictably, this sensitivity relied on the sources of carbon nutrients that cells had available. When TOR-hindered vip1-1 cells were provided light for photosynthesis and enriched with acetate - a "free" source of extra carbon - their growth was entirely arrested. However, the vip1-1 mutation did not have an impact on TOR-inhibited cell growth when acetate was withdrawn and atmospheric CO2 was the single carbon source. The link between acetate and the growth behavior of vip1-1 cells caused Umen and his team to explore the mutant further to check whether it had other metabolic changes that could be spotted without perturbing TOR signaling. To their surprise, they discovered that actively growing vip1 cells were oil overaccumulators that produced additional storage oil compared to regular cells, and accomplished that without sacrificing growth. Furthermore, under starvation conditions when normal cells enhance their oil content considerably, vip1-1 cells boosted it even more with up to double the production observed in normal cells. Our study reveals a new way to understand how cells control carbon metabolism and storage. As we decipher the inositol polyphosphate signaling code, we open up the prospect of being able to reprogram metabolism and make algae better producers of oil or other high value carbon-rich compounds.